Choose Size and Quantity on the next page. This is a tee you can rely on. Fabric combines the best of both worlds: softness, plus durability. 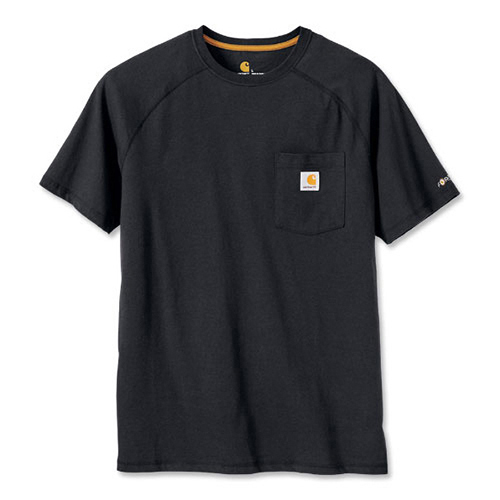 No need to sweat the small stuff with moisture-wicking fabric that keeps you dry and comfortable. Save up to 50% off select items and take $20 off orders over $100, $30 off orders over $150, and $50 off orders over $200!! *Pricing applies to standard sizes only. Sizes larger than XL, waist sizes of 44 and up and women's sizes 16 and up may have upcharges. Not valid with any other offer, on previous purchases, orders in progress or program, rental, sale or clearance items. Special shipping offer via ground only, not valid in Alaska or Hawaii. While supply lasts, no rainchecks. Your shopping bag has been updated.